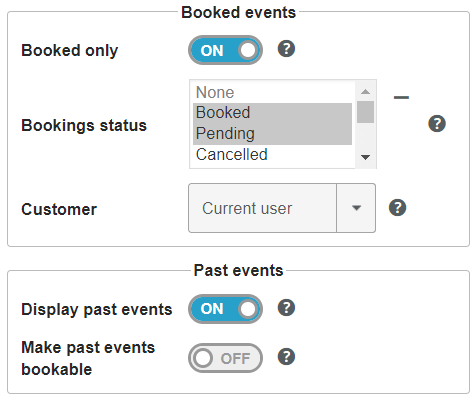 Booking Activities 1.5 centralizes the display features within reservation forms. This allows you to make the most of your booking system thanks to an intuitive interface. Forget the old integration by shortcode on one side and by WooCommerce on the other, everybody will now use the booking forms. 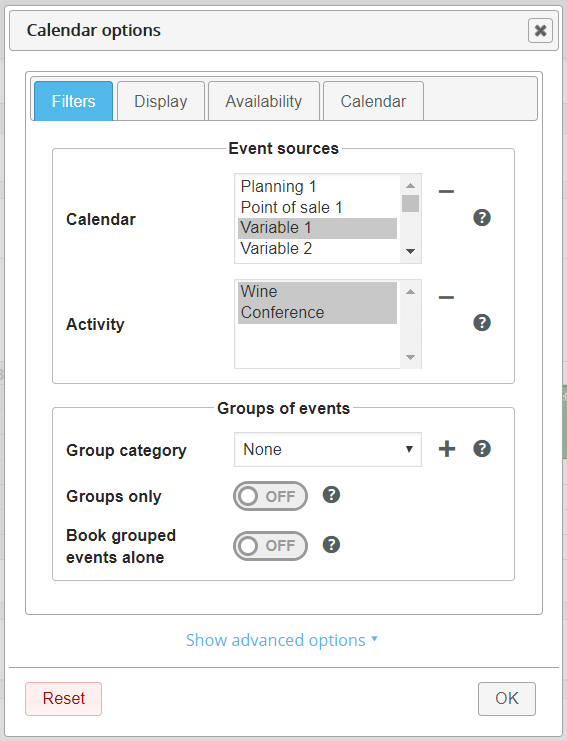 In a booking form you can display a calendar with events from multiple schedules. 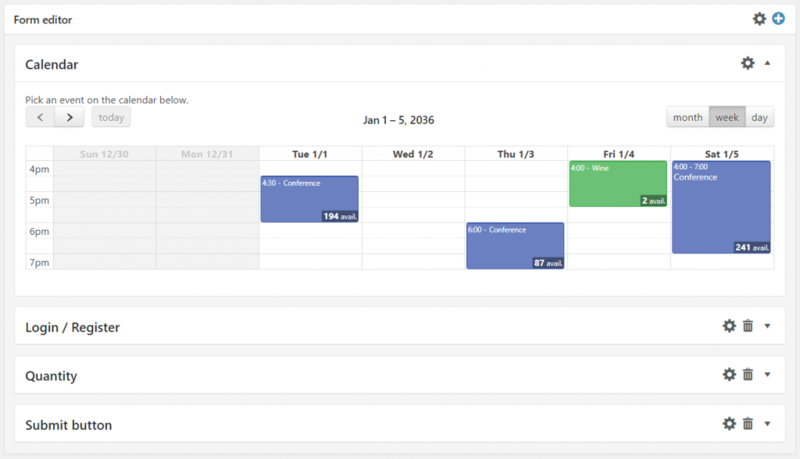 You can also customize the calendar display regardless of the source schedules settings. Set the event sources and many more options! But the calendar is only one “field” of the form. 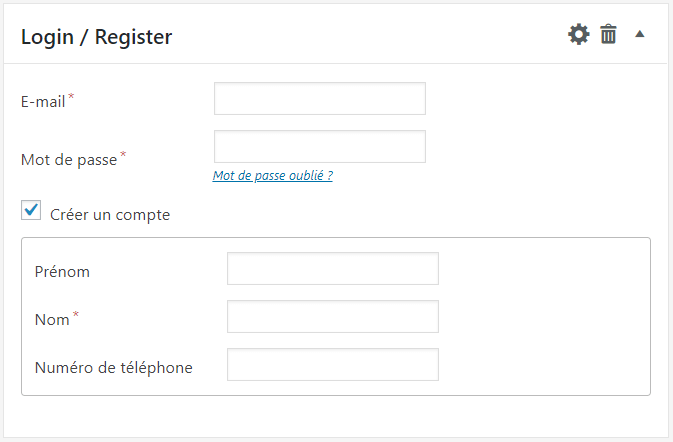 You will also have the opportunity to fully customize the login / registration, quantity and submit fields. You can add your own custom fields thanks to the Advanced Forms add-on. Each changes are immediately reflected on your fields so that you can preview them as they will be on your site. To switch fields positions, simply drag them to the desired position. Each form is unique. Each has their own fields and their own display settings. You can now display the same schedule in two different ways. Similarly, you can associate the same schedule with different fields. When someone make a reservation, the server checks whether the selected event matches all the characteristics of the form. At the slightest inconsistency, an error message is returned. 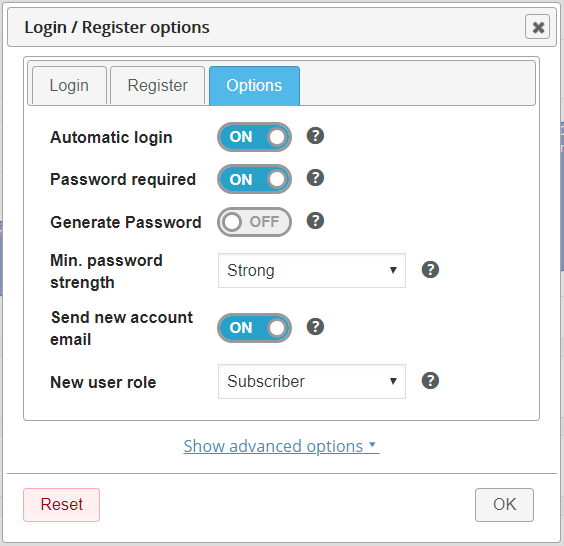 Until now Booking Activities users not using WooCommerce had to add a third party plugin to manage users login / registration. Booking Activities handles this natively now. The login and registration form is fully integrated into the booking form. It still takes one click for your users to book an event. Everything is processed at the same time. This user has registered while booking an event. Thus, an unknown user can make a reservation in one click with just his email address. The password can be automatically generated during the registration and / or optional during the login to make the process easier for your customers. New options have appeared in your booking forms calendar settings. You can choose whether to display past events on your site. They will be disabled by default and not selectable, but you can also make them bookable. Similarly, it is now possible to display only booked events, by a certain person or with a certain status, just like in the bookings page. As you know, calendars are displayed by default on the week view. A slight difference has been introduced with version 1.5. Indeed, from now on your calendars will adopt a day view IF their width is under 640px, in order to prevent events to look too narrow. You can change the value of this threshold in the Booking Activities settings. With the Display Pack add-on, you can define a different threshold for each form and add values in between. 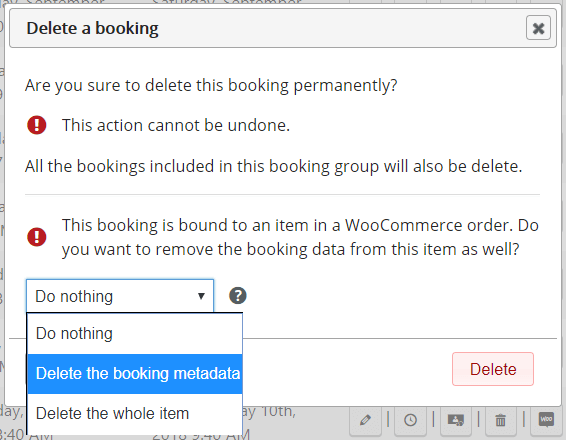 Basic but handy feature, booking deletion is now possible. Be careful however because this cannot be undone. If you are using WooCommerce, you can tell what will happen to the order item bound to this reservation. 1.5 version replaces shortcodes and WooCommerce integration with reservation forms. Thus, your shortcodes and your WooCommerce product settings are now deprecated. Booking Activities 1.5 is fully compatible with the old operating way to avoid any interruption of service on your site. However you must migrate as quickly as possible to the use of reservation forms because we can not ensure this backward compatibility in the long term nor ensure its support. Automatic forms generation tools have been created to facilitate your transition. Shortcodes to display a form [bookingactivities_form] Go to the calendar editor, choose the desired schedule, show / hide the desired activities and click on the link at the bottom of the page. This will generate a form and provide you with the new shortcode. (Included bookings calendars) Same as forms. Then you will need to delete all other fields than “Calendar”. To view a reservation calendar, you will need to configure the calendar to display past events and reserved by the current user only. WooCommerce products settings Go to the product edit page, in the “Product Data” box you will see the “Generate the booking form” button. Just click it to migrate your data.